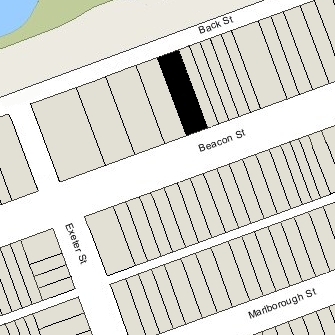 264 Beacon is located on the north side of Beacon, between Dartmouth and Exeter, with 262 Beacon to the east and 266 Beacon to the west. 264 Beacon Street was designed by Bigelow and Wadsworth, architects, and built in 1927-1928 as a six-story (described as five stories “above basement”) medical office building. It was built for real estate dealers Elliott Henderson and Gerald D. Boardman as trustees of the 264 Beacon Street Trust, which is shown as the owner on the original building permit application, dated October 24, 1927, and on the application for permission to raze the original house at 264 Beacon, dated November 2, 1927. The 264 Beacon Street Trust acquired the 264 Beacon on September 19, 1927, from of attorney Robert Treat Paine, II, whose home it had been. He had sold it on June 16, 1925, to real estate dealer James M. Burr, and had then taken it back through foreclosure on March 7, 1927. Click here for an index to the deeds for 264 Beacon. 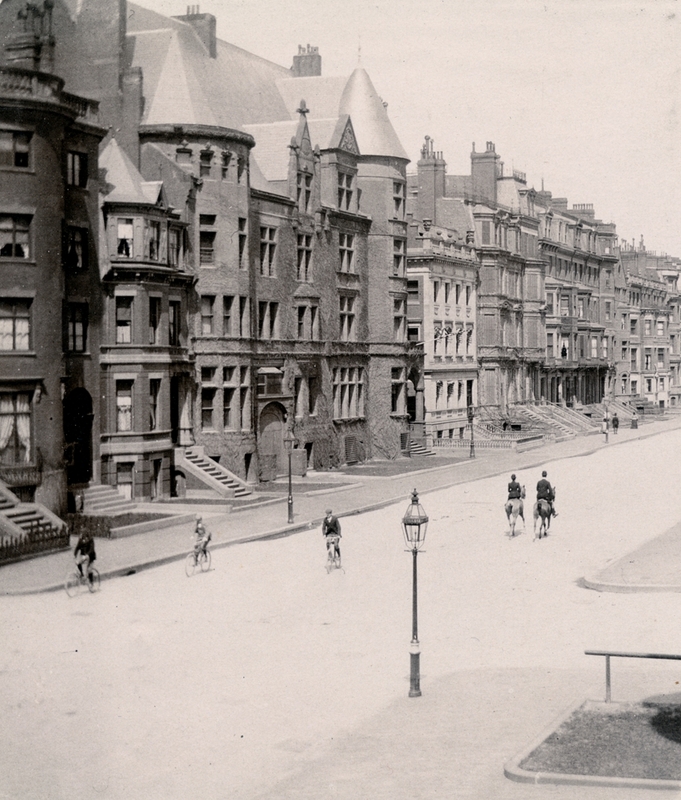 The 264 Beacon Street Trust continued to own the property until February 24, 1938, when the Conveyancers Title Insurance and Mortgage Company, itself in receivership, foreclosed on its mortgage to the trust and took possession of the property. In 1948, the fifth and sixth floors were damaged by fire. 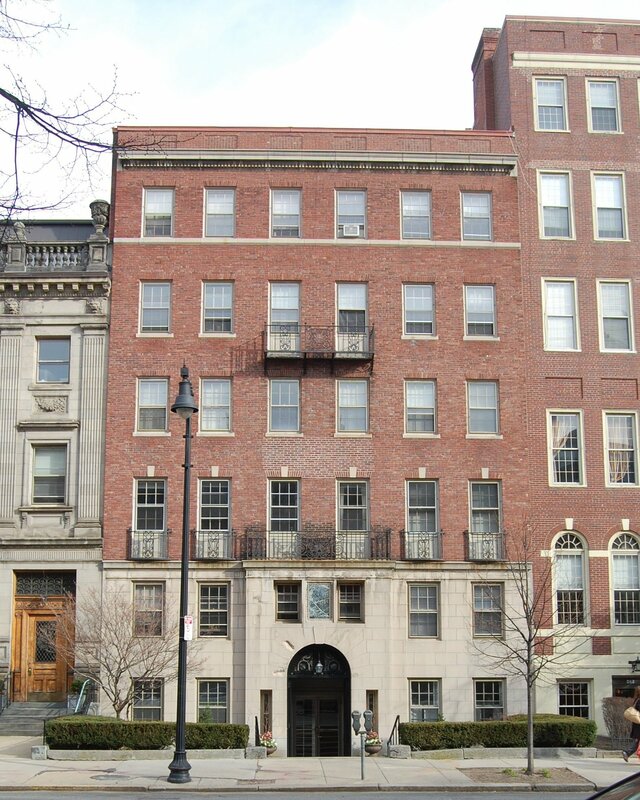 On May 7, 1954, Warren-Stevens, Inc., transferred the property to Mollie Hurwitz, trustee of the 264 Beacon Street Realty Trust. On February 2, 1955, 264 Beacon was acquired from H. Leon Sharmat, as successor trustee of the 264 Beacon Street Realty Trust, by the Lordonie Realty Corporation. In May of 1960, Lordonie Realty filed for (and subsequently received) permission to change the occupancy of 264 Beacon from medical offices to medical offices and twelve apartments (to be located on the fourth, fifth, and sixth floors). In August of 1962, it filed for permission to amend the permit application to add an additional story, increasing the number of apartments from twelve to fourteen. The application was denied, but granted on appeal. However, the additional story was not built. Plans for the remodeling and the penthouse addition, designed by architect Leonard Saroff, are included in the City of Boston Blueprints Collection in the Boston Public Library’s Arts Department (reference BIN R-229). In October of 1961, 262 Beacon was acquired by M. Leonard Lewis, president of Lordonie Realty. In August of 1962, Lordonie Realty filed for (and subsequently received) permission to change the occupancy of 264 Beacon to permit a pharmacy in addition to the medical offices and apartments. In April of 1972, M. Leonard Lewis acquired 266 Beacon. In December of 2000, Lordonie Realty filed for (and subsequently received) permission to change the occupancy to 16 medical/professional offices and two apartments (the pharmacy having been replaced by a physical therapy office). 264 Beacon remained assessed as a commercial building in 2016. 264 Beacon was built ca. 1872, one of two contiguous houses (262-264 Beacon) built for Nathaniel Hooper, a dry goods commission merchant and former shipping merchant in the East India trade. The houses were built on the eastern 60 feet of a 100 foot parcel purchased on April 5, 1867, by a trust established by Nathaniel Hooper on January 31, 1867, for his benefit and for the benefit of his children with his first wife, Harriet Rose (Wilson) Hooper, who had died in May of 1864. He established the trust in anticipation of his remarriage in February of 1867 to Emma Lincoln Bird. The land was part of a larger parcel that had changed hands several times; it originally had been purchased on December 15, 1863, from the Boston and Roxbury Mill Corporation by attorney John Duncan Bryant. 262 Beacon was built on the eastern 19 feet of the 100 foot parcel and 264 Beacon was built next to it on a 41 foot lot. The western 40 feet remained vacant until October of 1885 when the trust sold it to Francis and Eliza Skinner, who had 266 Beacon built as their home. 264 Beacon became Nathaniel Hooper’s home. He previously had lived at 27 Commonwealth with his brother and sister-in-law, Samuel and Anne (Sturgis) Hooper. His second wife, Emma (Bird) Hooper, had died in December of 1869 while they were living there. Nathaniel Hooper was joined at 264 Beacon by his son-in-law and daughter, banker Albert Gordon Bowles and Harriet Rose (Hooper) Bowles. Also living with him were his six other children: John Francis Hooper, who would become a dealer in furniture and Japanese goods; Jane Greene Hooper; Arthur Wilson Hooper, who would become a lawyer; Elizabeth Reed Hooper; Charles Rose Hooper; and Samuel Hooper Hooper, who would become a real estate dealer and investment banker, and later a wine importer. John Francis Hooper married in July of 1879 to Marie Allan Thomas, and they continued to live at 264 Beacon with Nathaniel Hooper. Charles Rose Hooper died in September of 1883. Nathaniel Hooper continued to live at 264 Beacon until his death in May of 1886. After his death, his unmarried daughters and youngest son — Jane, Elizabeth, and Samuel — moved to 141 Beacon to live with their aunt, Eunice Hooper. On June 23, 1886, 264 Beacon was purchased from Nathaniel Hooper’s trust by investment banker George Cabot Lee. He and his wife, Caroline Watts (Haskell) Lee, made it their home. They previously had lived at 96 Beacon and before that at 196 Beacon. The Lees continued to live at 264 Beacon until his death in March of 1910. After his death, Caroline Lee moved to Chestnut Hill. 264 Beacon was not listed in the 1911 Blue Book. On December 12, 1910, 264 Beacon was purchased from Caroline Lee by attorney Robert Treat Paine, II. He and his wife, Ruth (Cabot) Paine, made it their home. They previously had lived in Brookline. They continued to live at 264 Beacon during the 1923-1924 winter season, after which they made Chestnut Hill their home. On June 16, 1925, real estate dealer James M. Burr purchased 264 Beacon from Robert Treat Paine, II. On March 7, 1927, Robert Treat Paine, II, foreclosed on the mortgage given by James Burr when he bought 264 Beacon and took back possession of the property. 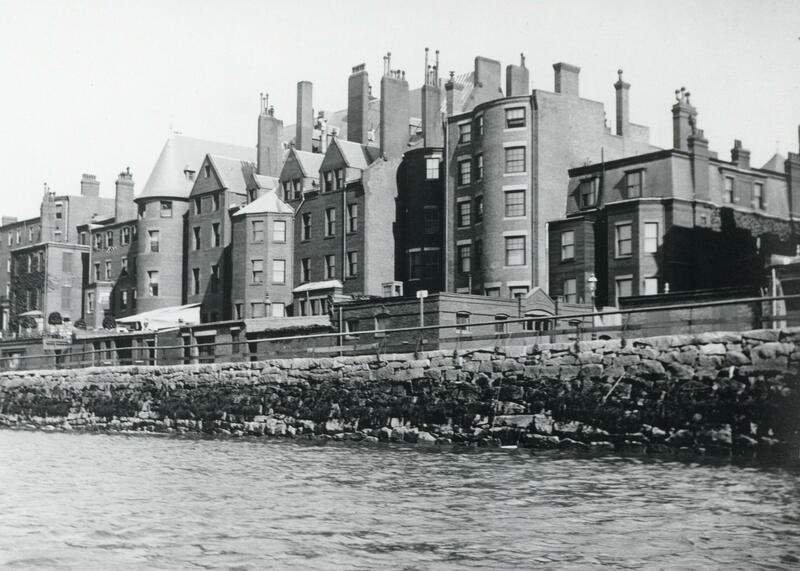 On September 19, 1927, 264 Beacon was acquired from Robert Treat Paine, II, by real estate dealers Elliott Henderson and Gerald D. Boardman as trustees of the 264 Beacon Street Trust. They razed the house later that year.